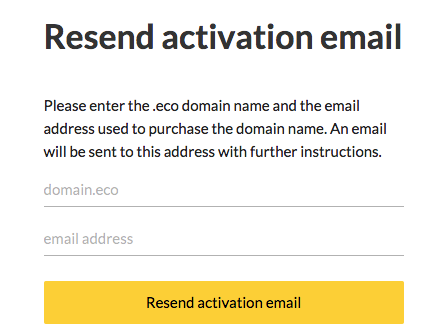 How can I get my .eco profile activation email resent? 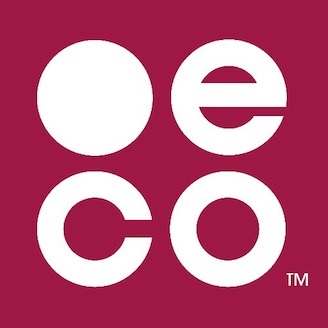 Once you've registered a .eco domain, you'll need to set up a .eco profile. You should have received the activation email from activate@profiles.eco with the subject line Activate [yourdomain].eco. This email should have been sent to the email address you used to register your .eco domain. It contains a unique link for you to configure your .eco profile. If you can't find this email, you can have it resent from the profiles.eco sign in page. 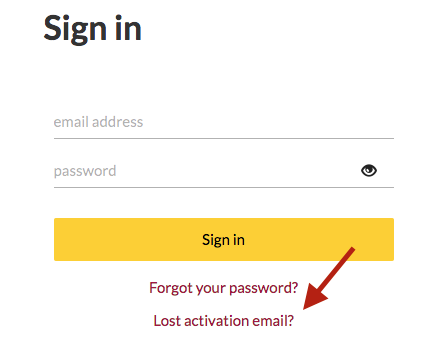 Clicking 'Lost activation email?' will take you to a page where you can enter the .eco domain name you're trying to activate and the email address you used when you registered the name at your registrar. Normally you should receive the activation email immediately after buying your .eco domain; however, in certain circumstances (especially if domain privacy services are enabled), it could take up to 2 hours for the email to arrive. If you don't receive the email within 2 hours, please try using the 'Lost activation email' feature. If that doesn't work, please contact us and we will help to get the email to you.